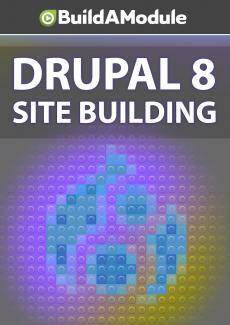 Solutions for chapter 9 of "Drupal 8 Site Building"
Remember that solution that you made in chemistry class that the teacher said was safe to drink even though it smelled like rotten eggs? These solutions are way better. And now the solutions. Question one, which two modules in combination allow you to merge multiple fields into a single field? Check all that apply. And the answer is Display Suite and Token. Now, keep in mind that token isn't an a dependency of Display Suite so you'll have to install it separately. Question two, what will a view mode allow you to do? Check all that apply. And the answer is B and C.
A view mode allows you to group fields to display and allows you reuse that display in multiple places. To reorder the inputs on the creation form for a content type, you would go to Manage Form Display instead and its Display Suite Custom Fields that will allow you to create custom fields that merge multiple fields together. Question three, Display Suite will allow you to split your forms into two separate columns. True or false? And the answer is true. In fact, there are a number of different templates you can use to split the content into multiple regions. It's worth taking a look at those to know what you have available to you. Question four, you can select which view mode to use when creating a list of content with Views. True or false? The answer is true. View modes are probably the most powerful with Views. And finally, which date format would you use to produce the following date? And the answer is d. Okay, let's take a look at our challenges. So our first challenge was create an administrative view using a custom view mode for basic pages where you can see the full content, the author and post date in this particular format, 2/5/2029. So the first thing we're going to need to do is create a custom view mode for basic pages and it will display the content, the author and post date. So let's start there. I'm going to go to Structure, Display modes, View modes and Add new view mode. We're going to add it for Content. We'll set this to Delete Me since we'll have to come back and delete it later. I'll click Save and now, let's use that view mode in basic pages so I'll go to Structure, Content Types, Basic page and Manage display. We'll scroll down and click the Custom display settings and allow us to adjust the settings of the Delete Me view mode. I'll click Save and then let's go to Delete Me and what we want is the full content, the author and the post date in a particular format. In order to have access to the author and adjust the format of the post date, we're going to need to use Display Suite so let's select a layout for it to activate Display Suite. We'll use the One column layout. So we want the author. Let's drag that up here. And we want the post date. Of the options that we have here, none of them quite fit what we need so we're going to need to create a new date format. Let's save this layout and I'll use Coffee to go to date and time formats. Let's add a new format. Let's open up the PHP manual to the date page so we can see what we need. So even though the date's a bit ambiguous, I'm in the US so the day is going to come first and it's not going to have any leading zeroes so we're going to use j.
j/ and then the month so I'll scroll down here to the Month section and we want no leading zeroes so that's going to be n and then slash the full year which is a capital Y. I'm going to use this as the name as well and we'll click Add Format. Now, we can go back and use this format in our content type. So I'm going to back to Basic page, Manage display. We'll go back to the Delete Me view mode and next to Post date, let's use our jnY. Let's save this.